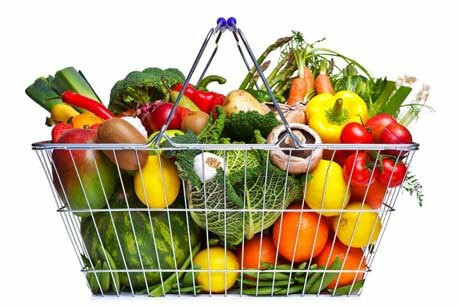 Grocery shopping can be a dietary minefield – with aisles of temptations that seem difficult to avoid, what are some smart ways to make the most of your shopping trip? All you need are a few health tips to keep you on track. 1. Healthy choices start at home, so plan ahead by making a list. This way you will get exactly what you need and lessen risk of random purchases that you don’t need. Planning ahead will also save you time and money! 2. Many nutritionists suggest shopping the perimeter of the grocery store, with the thought being that this is where fresher and less processed foods are found. This is true, but there certainly are healthy foods that can be found in the center aisles too, think canned beans, grains, frozen fruit etc. 4. Make a point to try and incorporate foods that are fresh and in season and perhaps that you have not tried before, most people tend to eat the same foods over and over again but the wider the variety the wider the array of nutrients. Have household members make suggestions for the shopping list, kids (and grown-ups) are generally more willing to try new foods when they help to pick them. 5. Don’t shop hungry! This practice often results in unhealthy impulse purchases. 6. Choose “real” foods, with as little processing and as few additives as possible. Try not to choose foods that contain a long list of ingredients, artificial ingredients, or ingredients you might not be able to pronounce.